In the thick of holiday traffic now in many places – but nowhere near as bad as it will get. Also, Scania names a date to debut its long awaited new truck. Car makers and telecoms want an EU cross-border driverless car trial. No France minimum wage fines for next fortnight. Brittany Ferries 2017 fares ready to book. Tourist dies in Finland elk crash. Selfie fines on Turkey’s new mega-bridge. Skeleton service for the next week @DriveEurope – back on Monday 18 July. Be ready for delays but don’t get overly anxious, yet. 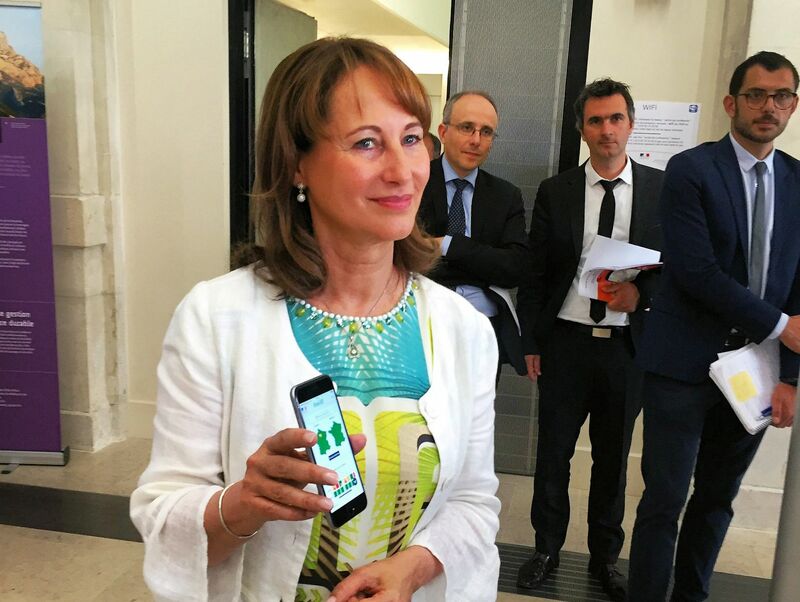 French Ecology minister Segolene Royale unveils an updated ‘Bison Fute‘ traffic app ahead of the holidays today. Available for iOS and Android, it contains traffic forecasts, and real-time info updated every 3-6 minutes. The first proper Friday in July is one of the most difficult days of the year on the roads of the Ile de France capital region in France according to traffic monitor Bison Fute. With schools breaking up, from this afternoon onwards drivers head en masse to the west coast but, particularly, south west towards Bordeaux (A10) and south east towards the Cote d’Azur (A6>A7 via Lyon). The rest of the country joins in tomorrow but while it will be busy, bear in mind the truly horrendous Black Saturdays this year are the last weekend of July and first week of August. The exception is the Mont Blanc Tunnel where it will be very busy Friday afternoon and – especially – Saturday mid-morning France to Italy (but very quiet in the opposite direction). In general in France queues start early – drivers who aim to be south of Lyon from just after lunch miss the worst delays. To get handle on what’s happening in the south see @VINCIautoroutes which publishes a regular graphic showing the delays on the major routes. Germany will be very busy too this weekend – and including the entire country too, for the first time this summer says ADAC – but the really busy holiday traffic starts next weekend. Similarly traffic continues to build in Austria but next weekend is when the rough stuff starts – though watch out for motorway queues into Germany thanks to border controls, in the early part of the day especially. Likewise roads in Italy will be crowded, towards the coasts, but Black Saturday is not until next month. Admittedly there is less comfort in Switzerland where Saturday sees the season’s first serious queues at the Gotthard Tunnel, and in both directions too. Anyone who delays a journey until Sunday – in whichever country – will find much more congenial roads. roundup: a group of telecoms and car companies want the EU to fund a four year, cross-border driverless car test according to Euractiv. They specifically want to see how the cars react to mobile roaming and national radio systems but say it can’t happen without EU support and cash… the CETM Confederación Española de Transporte de Mercancías haulier group says it has been assured fines will not be levied on the new France minimum wage rule for commercial drivers until Friday 22 July – however, there were reports last week police had attempted to fine two truck drivers (though unsuccessfully)… Brittany Ferries 2017 schedule has been published today reports @BFenthusiasts – available to book up to and including November 2017… an Italian biker died after colliding with an elk in northern Finland reports Finland Times. The 62 year old hit the animal, which also died, near Pello on the Swedish border north of the Arctic Circle. Police suspect alcohol and speeding may have been involved… drivers stopping to take selfies on Turkey’s brand new Osman Gezi Bridge were each fined 92TL (£25) says Hurriyet Daily News. The bridge – the word’s fourth longest at 2682m, near Istanbul, a huge short cut for journeys down the west coast – opened with fanfare last week with a successful attempt on the land speed record for a production motorbike.